The presence and damp and rot is a common curse, especially in older properties. It is more than likely that if you come across dampness in your home, that the residence of dry rot won’t be far behind. However, it is not just the older properties that can suffer severely from the problems associated with damp; newer homes do too. Therefore, if you are renovating your property, or simply making some small alterations, here is a guide on how to deal with damp. There are several indications you can spot which suggest your property is suffering from dampness. If your walls or plaster have become stained, if you are experiencing musty smells, the wood in your property has warped, or the paint and wallpaper are peeling away, then it is likely dampness is causing all of these problems. If you are also noticing water droplets forming from condensation then its time to deal with the damp. In reality, rising damp is actually extremely rare, and the presence of wetness on lower walls is usually due to other causes. Condensation from steamed up windows is often a cause of this problem, as it runs down the walls and soaks into them. In order to spot the signs to look out for, it is worth understanding the true causes of damp. Properties built in exposed locations, such as coastal towns, are often victims of the damp. Dampness can soak through solid walls, leaving stains on the internal paintwork or wallpaper. In order to prevent this from happening, many coastal properties are built with added protection such as rendering, cladding or tiles on the walls. Window sills are a common weak point for damp. If there are visible cracks, then the rain will be able to enter the property causing the skirting to rot, damp patches, and loose plaster. Window sills should possess a small groove underneath to prevent the rain from running back in and soaking into the walls. Doors are also a weakness for allowing dampness to exist in your home; the often rain runs down the frames and seeks out the joins then.  If you are looking for hardwood replacement doors in Milton Keynes, get in touch with us today. You should make sure that both your roof joints and chimney stacks have watertight flashings to deter dampness. If your chimney’s flue is unprotected, then the rain can pour down it, entering your home and soaking into the soot in your fireplace. Nevertheless, one of the biggest causes of damp is from inadequate plumbing and drainage. Leaks often develop behind the back of toilets and around old pipes which can easily remain unnoticed until the floorboards or carpets start to rot. Furthermore, pipework leaks behind kitchen units are often only discovered when the units are take out and replaced; by this time, severe decay in the timber floors may have begun. Condensation is the last cause for damp that we’re going to touch on. When warm air hits a cold surface in your home, it instantly cools down and condenses back into water form. The combination of steamy windows, damp walls and moist ceilings then eventually attracts mould. Where there is little air movement behind pieces of furniture and unventilated cupboards, the condensation of moist air results in the growth of mould. If there is an excess of humid air in your home, then carpets often start to acquire the unpleasant smell of damp. Tumble dryers, baths, showers, gas cookers, kettles, house plants and pets are just some of the worst sources of water vapour in your home. Nevertheless, there are several solutions to the problem of dampness that allow you to carry on using these everyday items. A considerable part of the solution to this problem is effective ventilation in your home. If you had a Victorian fireplace in your home, then this featured ensured a steady flow of air throughout the house which helped to disperse the moist air brought in by sash windows and draughty floorboards. Nowadays, most of us do all we can to seal up our homes and eliminate the presence of draughts; however, this is a huge promoter of condensation. In order to improve ventilation in your home, make sure to fit extractor fans in both your kitchens and bathrooms. This will effectively expel humid air in your property. It is also a good idea to make sure your home’s wall surfaces are well insulated. If you are looking for a temporary solution to the problem, then a dehumidifier will work on a short-term basis. Another solution to the problem is to make sure the soil outside your home is not banked up against external walls. The outside ground level should be, on average, 20cm below the internal floor level. To further reduce the risk of rain saturating the walls, fill a shallow trench with gravel at the base of the external walls. It is also important to remove any modern materials that trap damp. This includes sealant fluids, mortar pointing and ‘never paint again’ coatings which are sold as damp treatments, but are ineffective. Instead, replace these products with lime-based breathable paints and other materials. Allow your walls to effectively dry out by keeping the house heated and clearing away any climbing vegetation. A main wall can take up to six months to completely dry out. Lastly, it is important you take the time to repair any leaking drains, gutters or ineffective window sills. Make sure to have replacement doors and windows in Milton Keynes fitted if these are contributing to the development of dampness in your home. Call out a professional to help with any internal leaks; it is imperative these problems get solved effectively and quickly. 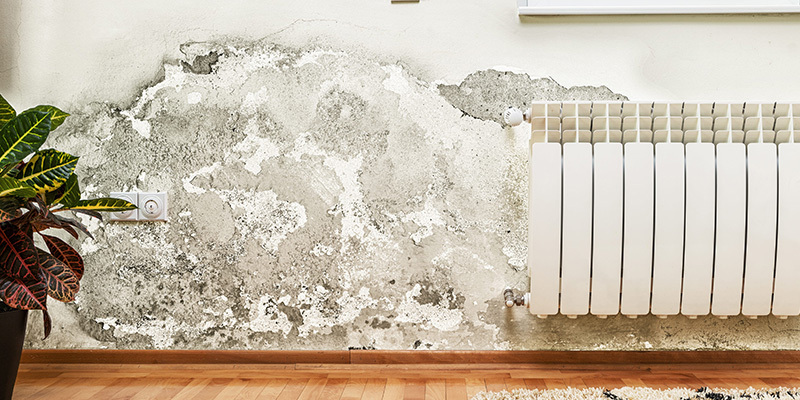 Hopefully, you have found this article to be a useful source of advice and guidance when it comes to dealing with damp in your home. If you implement the information we have suggested, then you can be sure to see the back of damp patches in your home. Please feel free to share this guide on social media.